Books listed here are either by North Native American Indian authors or illustrators or both, including books that also feature non-Indian authors and Native illustrators. Where tribal affiliations are known, they are noted. Our intent is not to be all-inclusive but rather to highlight. 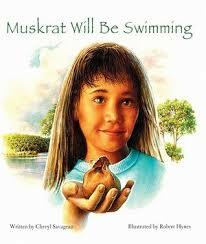 MUSKRAT WILL BE SWIMMING by Cheryl Savageau (Abenaki-French Canadian), illustrated by Robert Hynes, featuring a Seneca traditional story retold by Joseph Bruchac (Abenaki) (Northland, 1996). When a young Native girl is called “Lake Rat,” she is comforted by Grampa who both reveals how he was once called “Frog” because of his French-Indian heritage and shows how those intended insults are signs that the bullies don’t appreciate the joy of the frog and wonder of the lake. Ages 4-up. THE STORY OF THE MILKY WAY, A CHEROKEE TALE by Joseph Bruchac (Abenaki) and Gayle Ross (Cherokee) with paintings by Virginia A. Stroud (Cherokee-Muscogee (Creek)) (Dial, 1995). A spirit dog has been stealing the corn meal, and he can be driven away only with the combined efforts of a young boy, Beloved Woman, and the entire village. Read this book to find out why the Cherokee people call the Milky Way “the place where the dog ran.” In “The Origin of the Story,” Bruchac and Ross share how they came to know and be inspired by the story. Stroud’s artwork depicts of Cherokee life in the early 1800s, after the coming of the Europeans and before the Trail of Tears. In a wrap-around, her illustrations show how Cherokee people today pass down their traditional stories to children. Ages 4-up. A BOY CALLED SLOW by Joseph Bruchac (Abenaki), illustrated by Rocco Baviera (Philomel, 1995). A look at the boyhood of a young Lakota who grows into Sitting Bull, a medicine man and chief. Ages 4-up. CIRCLE OF WONDER: A NATIVE AMERICAN CHRISTMAS STORY by N. Scott Momaday (Kiowa) (Clear Light, 1993). Inspired by the author’s first childhood Christmas in Jemez Pueblo, this is the story of Tolo, a boy who follows a man who seems to be his late grandfather. Ages 5-up. CRAZY HORSE’S VISION by Joseph Bruchac (Abenaki), illustrated by S.D. Nelson (Lakota) (Lee & Low, 2000). Bruchac brings his poetic style to this story of young Curly, who would grow into the Lakota hero Crazy Horse. Nelson’s illustrations are influenced by the traditional ledger style of his ancestors, and they are powerful. Ages 4-up. CROSSING BOK CHITTO: A CHOCTAW TALE OF FRIENDSHIP AND FREEDOM by Tim Tingle (Choctaw), illustrated by Jeanne Rorex Bridges (Cherokee) (Cinco Puntos, 2006). Chronicles the important relationship between citizens of Choctaw Nation and those people held in slavery in Mississippi prior to the U.S. Civil War and the Trail of Tears. An evocative story, wonderfully told and gorgeously illustrated. End material includes “Choctaws Today: Two Prosperous Nations, One Strong People” and “A Note on Choctaw Storytelling.” Ages 9-up. FOX SONG by Joseph Bruchac (Abenaki), illustrated by Paul Morin (Philomel, 1993). A gentle story about the relationship of Jamie and her Granma Bowman and about Jamie’s acceptance of Granma’s death. Ages 4-up. 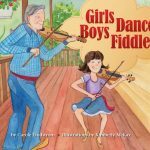 GIRLS DANCE, BOYS FIDDLE by Carole Lindstrom (Metis/Ojibwe), illustrated by Kimberly McKay (Pemmican Publications, 2015). Young Metisse may think she has two left feet when it comes to dancing, but her hands know how to coax beautiful music from a fiddle. If only everyone would understand. A funny but feeling story of a girl who has to challenge tradition to prove that she can fiddle with the best. Ages 6-up. More on this title from Cynsations. Compiled from promotional materials. THE GOOD LUCK CAT by Joy Harjo (Muscogee (Creek)) and illustrated by Paul Lee (Harcourt, 2000). Aunt Shelly says that Woogie is a good luck cat. As he survives one scrape after another, her analysis seems to be right on target. But one day when he doesn’t come home, we wonder if this good luck cat’s ninth life has run out. This is a delightful look at the daily life friendship between a cat and a young girl. Ages 4-up. GRANDMOTHER’S PIGEON by Louise Erdrich (Turtle Mountain Chippewa), illustrated by Jim La Marche (Hyperion, 1996). Grandmother has caught a ride to Greenland on the back of a porpoise, and what’s more, a nest of birds has hatched in her bedroom. Where did they come from? Ages 4-up. JINGLE DANCER by Cynthia Leitich Smith (Muscogee (Creek)), illustrated by Cornelius Van Wright and Ying-Hwa Hu (Morrow, 2000). Jenna, a Muscogee girl, wants to jingle dance at the upcoming powwow. With time running short, she seeks the assistance of women of her contemporary intertribal community in bringing together her regalia. A story of reciprocity and respect. Ages 4-up. LESS THAN HALF, MORE THAN WHOLE by Kathleen Lacapa (Mohawk-English-Irish) and Michael Lacapa (Apache-Hopi-Tewa), who also is the illustrator (Northland, 1994). When Will calls Tony “only half, or less than half Indian,” Tony tries to figure out what that means. With TaTda’s (Grandfather’s) help, Tony realizes that, like the Creator’s gift of corn, he is whole. Ages 4-up. 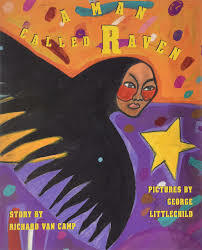 A MAN CALLED RAVEN by Richard Van Camp (Dogrib), illustrated by George Littlechild (Plains Cree) (Children’s Book Press, 1997). A mysterious man confronts two Dogrib brothers, Chris and Toby Greyeyes, about their abusing a raven with hockey sticks. Ages 4-up. MISSION TO SPACE by John Herrington (Chickasaw) (White Dog Press, 2016). Astronaut John Herrington shares his passion for space travel and his Chickasaw heritage as he gives children a glimpse into his astronaut training at NASA and his mission to the International Space Station. Learn what it takes to train for spaceflight, see the tasks he completed in space, and join him on his spacewalk 220 miles above the earth. Illustrated with photos from Herrington’s training and space travel and includes an English-to-Chickasaw vocabulary list with space-related terms. Ages 5-up. More on this author from Cynsations. Compiled from promotional materials. 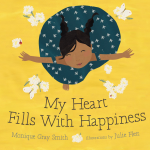 MY HEART FILLS WITH HAPPINESS by Monique Gray Smith (Cree-Lakota)(Orca, 2016). The sun on your face. The smell of warm bannock baking in the oven. Holding the hand of someone you love. What fills your heart with happiness? All ages. More on this title from Cynsations. Compiled from promotional materials. SKYSISTERS by Jan Bourdeau Waboose (Ojibwe), illustrated by Brian Deines (Kids Can, 2000). Big sister Allie and little sister Alex bundle up, venture into the night, encounter a deer, dance beneath the stars, and watch the northern lights. Ages 5-up. SONGS OF SHIPROCK FAIR by Luci Tapahonso (Navajo), illustrated by Anthony Chee Emerson (Navajo)(Kiva, 1999). All the joy, excitement, family love and creativity of the fair brought to life. Ages 5-up. 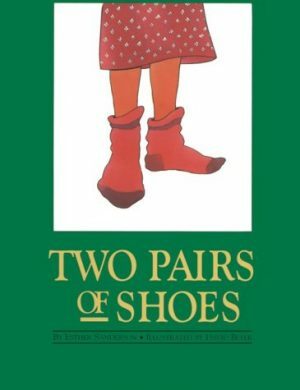 TWO PAIRS OF SHOES by Esther Sanderson (of the Pas Reserve), illustrated by David Beyer (Cree) (Pemmican, 1998). For Maggie’s eighth birthday, she receives a pair of black patent shoes from her mother and a pair of moccasins from her Kokum (grandmother), who reminds her there are times and ways to wear each. Ages 3-up. A WALK TO THE GREAT MYSTERY by Virginia A. Stroud (Cherokee-Muscogee (Creek)) (Dial, 1995). Dustin and Rosie take a walk with their Grandma Ann, a Cherokee medicine woman, and gain insight into the Great Mystery. Ages 5-up. WHERE DID YOU GET YOUR MOCCASINS by Bernelda Wheeler (Cree-Saulteaux-Scottish-French) and illustrated by Herman Bekkering (Peguis Publishers (now Portage & Main Press), 1982). Introduces the balance of traditionalism and contemporary life to very young children. Ages 3-up. CAN YOU HEAR WIND SING YOUR NAME? AN ONEIDA SONG OF SPRING by Sandra De Coteau Orie (Oneida) and illustrated by Christopher Canyon (Cherokee) (Walker, 1995). Exquisite paintings compliment this celebration of the circle of life and the connection between Oneida people and the natural world. Author’s note useful for curriculum and cross-cultural insight. Ages 3-up. 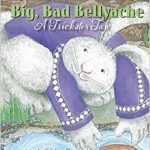 CHUKFI RABBIT’S BIG, BAD BELLYACHE by Greg Rodgers (Choctaw), illustrated by Leslie Stall Widener (Choctaw) (Cinco Puntos, 2014). Silly kids, tricks are for rabbits! Chukfi Rabbit, that is. The laziest—and hungriest—trickster rabbit there is! Deep in Choctaw Country, Chukfi Rabbit is always figuring out some way to avoid work at all costs. When Bear, Turtle, Fox, and Beaver agree on an everybody-work-together day to build Ms. Possum a new house, Chukfi Rabbit says he’s too busy to help. Until he hears there will be a feast to eat after the work is done: cornbread biscuits, grape dumplings, tanchi labona (a delicious Choctaw corn stew), and best of all, fresh, homemade butter! So while everyone else helps build the house, Chukfi helps himself to all that yummy butter! The furry fiend! But this greedy trickster will soon learn that being this lazy is hard work! A classic trickster tale. Ages 5-up. More on this title from Cynsations. THE MUD PONY retold by Caron Lee Cohen and illustrated by Shonto Begay (Navajo) (Scholastic, 1992). Mother Earth brings to life a pony made of mud. Ages 5-up. THIS LAND IS MY LAND by George Littlechild (Plains Cree) (Children’s Book Press, 1993). In a collection of short essays, Littlechild offers insights into Native identity, history, and culture which compliment his internationally acclaimed art. Ages 7-up. THE PEOPLE SHALL CONTINUE by Simon Ortiz (Acoma) and illustrated by Sharol Graves (Children’s Book Press, 1998).For all of its poetry and brevity, this oral chronicle of the history of Native peoples to present day is honest, inspiring, and surprisingly complete. Ages 5-up. Look for the 40th anniversary edition from Lee & Low. TALLCHIEF: AMERICA’S PRIMA BALLERINA by Maria Tallchief (Osage) with Rosemary Wells, illustrated by Gary Kelly (Viking, 1999). This picture book autobiography looks at the early life of an outstanding ballet dancer. Ages 5-up. 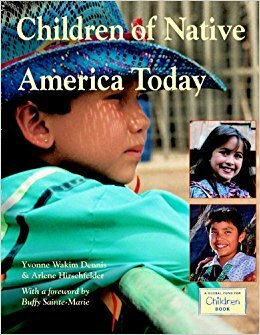 CHILDREN OF NATIVE AMERICA TODAY by Yvonne Wakim Dennis (Cherokee) and Arlene Hirschfelder with a forward by Buffy Sainte-Marie (Charlesbridge, 2003). Featuring full-color photographs, this nonfiction volume features two, strong overview introductions to contemporary Native America, followed by double-page spreads, each including a pronunciation guide and quick facts, on children from a regional cross-section of twenty-four Native Nations within U.S. borders as well as Native Hawaiians and urban Indians. The title also offers a color map, “resources for further study” (including a biblography listing nonfiction for children, nonfiction for parents and educators, related magazines and newspapers, related organizations, and related Web sites). A glossary and index are included, too, along with a history of the book itself. An excellent read for children and adults, a must-read for social studies educators. Ages 8-up. CHILDREN OF NATIVE AMERICA TODAY: AN ACTIVITY AND RESOURCE GUIDE also available. 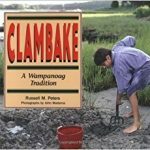 CLAMBAKE: A WAMPANOAG TRADITION (WE ARE STILL HERE: NATIVE AMERICANS TODAY) by Russell M. Peters (Wampanoag) with photographs by John Madama (Lerner, 1992). Steven Peters and his grandfather, Fast Turtle, host an appanaug, a clambake. Ages 5-up. DRUMBEAT HEARTBEAT: A CELEBRATION OF POWWOW (WE ARE STILL HERE: NATIVE AMERICANS TODAY) written and photographed by Susan Braine (Ansiniboine, Fort Peck Reservation), illustrations by Carly Bordeau (Anishinabe, White Earth, Minnesota) (Lerner, 1995). A detailed overview of the powwow and its traditions. Ages 5-up. FOUR SEASONS OF CORN: A WINNEBAGO TRADITION (WE ARE STILL HERE: NATIVE AMERICANS TODAY) by Sally M. Hunter (Ojibwe) with photographs by Joe Allen (Lerner, 1996). Hunter’s husband and children are members of the Hochunk Eagle Clan. Russell, who lives in Minneapolis travels to a farm with his family to help plant and later harvest and enjoy corn. Includes recipe for Indian corn soup, glossaries. Ages 5-up. GRANDCHILDREN OF THE LAKOTA by LaVera Rose (Rosebud Sioux) with photographs by Cheryl Walsh Bellville (Carolrhoda, 1998). A personal overview of her people by a talented author with a voice echoing oral tradition.Touches on Lakota diversity, history, economics, culture, government, families, children, education, lifestyles, and more. Includes a pronunciation guide. Ages 5-up. 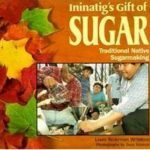 ININATIG’S GIFT OF SUGAR: TRADITIONAL NATIVE SUGARMAKING (WE ARE STILL HERE: NATIVE AMERICANS TODAY) by Laura Waterman Wittstock (Seneca) with photographs by Dale Kakkak (Menominee) and illustrations by Carly Bordeau (Anishinabe) (Lerner, 1993). Beginning with the Ojibwe story of Ininatig, “the man tree,” this book celebrates the processes of sugarmaking as it relates to Ojibwe heritage. Ages 5-up. KINAADLDA: A NAVAJO GIRL GROWS UP (WE ARE STILL HERE: NATIVE AMERICANS TODAY) by Monty Roessel (Navajo) (Lerner, 1993). Celinda McKelvey completes the coming-of-age ceremony for Navajo girls. Ages 5-up. LAKOTA HOOP DANCER (WE ARE STILL HERE: NATIVE AMERICANS TODAY) by Jacqueline Left Hand Bull (Sicangu Lakota Nation) and Suzanne Haldane with photographs by Suzanne Haldane (Lerner, 1993). Includes glossary. Ages 5-up. THE SACRED HARVEST: OJIBWAY WILD RICE GATHERING (WE ARE STILL HERE: NATIVE AMERICANS TODAY) by Gordon Regguinti (Leech Lake Band Ojibway) with photographs by Dale Kakkak (Menominee) and a forward by Michael Dorris (Modoc) (Lerner, 1992). Ages 5-up. 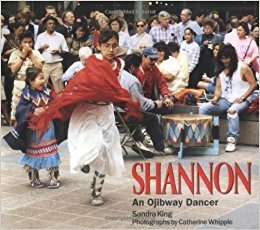 SHANNON, AN OJIBWAY DANCER (WE ARE STILL HERE: NATIVE AMERICANS TODAY) by Sandra King (Red Lake band of Ojibway), photographs by Catherine Whipple (Lakota) (Lerner, 1993). A look at everyday life and preparations for powwow with a focus on a young shawl dancer. Ages 5-up. SONGS FROM THE LOOM: A NAVAJO GIRL LEARNS TO WEAVE (WE ARE STILL HERE: NATIVE AMERICANS TODAY) by Monty Roessel (Navajo)(Lerner, 1995). Although this list reflects many exquisitely photographed books, this one stands out. The subject matter lends itself to beauty, and the close look at tradition to warmth. Centered on photographer’s daughter Jaclyn. Ages 5-up. 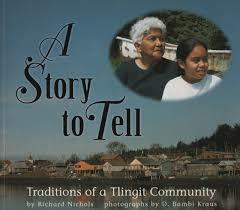 A STORY TO TELL: TRADITIONS OF A TLINGIT COMMUNITY (WE ARE STILL HERE: NATIVE AMERICANS TODAY) by Richard Nichols (Tewa Pueblo) with photographs by D. Bambi Kraus (Lerner, 1998). A grandmother in the village of Kate on Kupreanof Island, one of the traditional areas of the Tlingit people, tells stories of their culture to her granddaughter, Marissa, 11, from Seattle. Ages 5-up.